​Do any of these describe you? A young adult, taking your first steps into the world of work? Some who has been made redundant and doesn’t know where to start to get a new job? Someone looking to change roles, or maybe even careers? You need help negotiating the modern job market after many years with the same company? You lack the confidence – or the time – to prepare well for the journey you need to take? ​Lasting between 3 and 6 weeks, the rate at which you move through the programme is flexible to suit your timetable and your urgency. 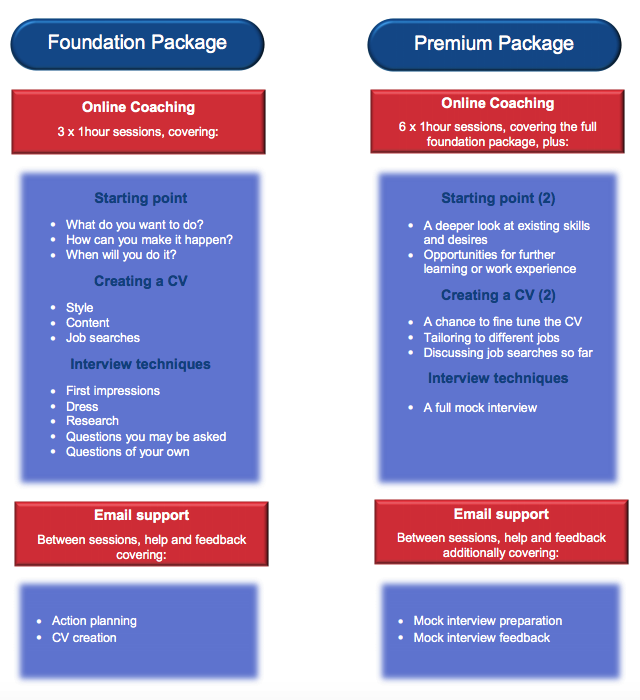 I use a combination of either video call or telephone coaching sessions, plus help with the creation of documents and plans, to equip you with the skills and confidence you need to seek out rewarding work opportunities.